Well kids, we’ve done it this time. 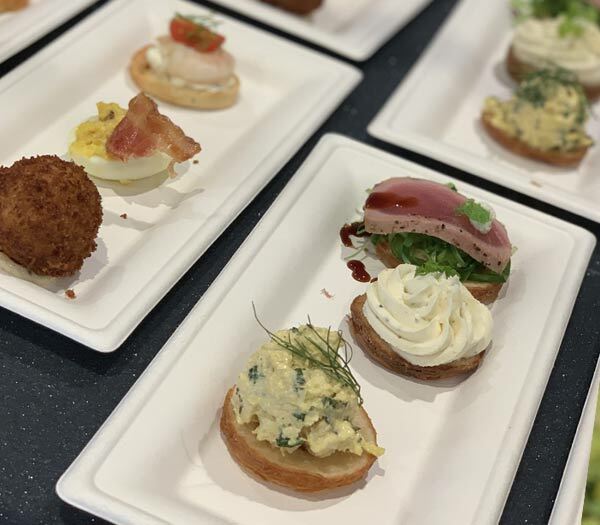 We really dug deep, loosened our belts, and truly committed to trying a huge selection of Food Studio menu items at this year’s Festival of the Arts. 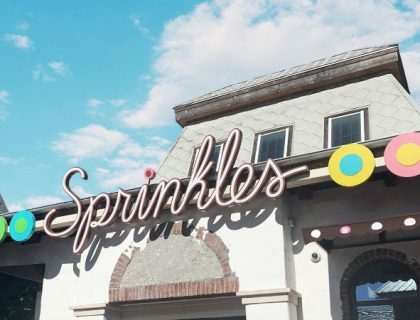 We wish we could tell you a harrowing story about how hard it was, but there are so many delicious items to choose from that we had a blast trying as much as we could. And the best news is we’re not done yet. We’ve got another trip planned so check back soon to find out what new items we tried on our next Festival of the Arts visit. The Decadent Delights Food Studio can be found at the World Showcase Promenade. Every list of food we eat should start with chocolate! This artful snack of chocolate cake with a peanut butter crunch filling is new to the 2019 Festival of the Arts menu, and we’ve got to be honest – it was a hit. Accompanied with a raspberry sauce that shimmers in the sunlight, a pretzel, and a chocolate stick for embellishment. 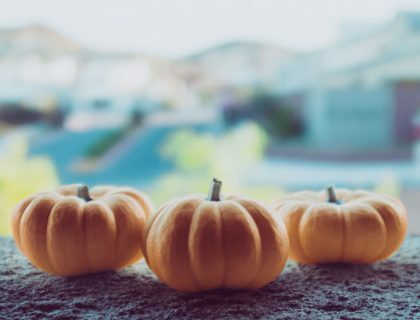 We hope to see this yummy number again next year. 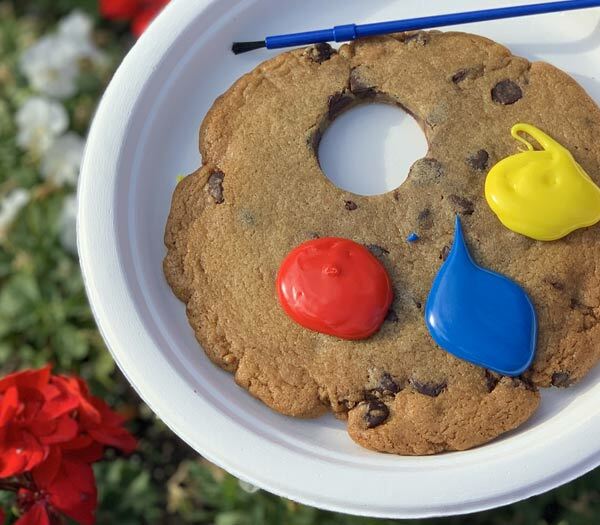 You’ll find this interactive treat at many of the Food Studio Booths. This jumbo chocolate chip does the work of being both jumbo and a chocolate chip cookie, and it does it well. As an added fun bonus it is topped with 3 colorful dollops of frosting and comes with a paintbrush so you can make your own edible artwork. You can find the Pop Arts Food Studio in World Showcase Plaza near the Mexico Pavilion. The Almond Frangipane Cake is a fan favorite and an Instagramers dream food. The cake is thinly layered with luscious raspberry jam and frosted with Callebaut Belgian Chocolate. Yes, it’s pretty much a strawberry pop tart with sugar cookie replacing whatever they make pop tarts with. 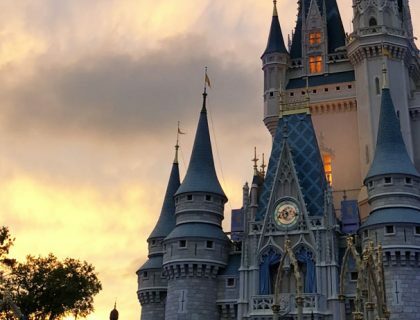 But you’re eating it at Walt Disney World, so that alone is going to make it so much better. If you like sugary treats give this a try. You can also find it at the Painter’s Palate. There’s just something about Ceviche. 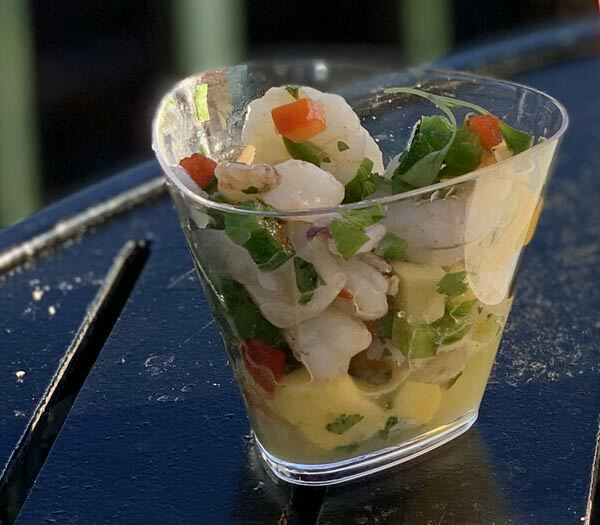 This Shrimp Ceviche is topped with a lime mint foam, which we graciously declined. While we did enjoy this fresh feast, we would have to label it as simply adequate. Pop Eats went heavy on the Boba, and you can find it in both the Blue Sky Black Cherry Freeze and the Popping Bubbles Cocktail. Let’s start with the Blue Sky Freeze, which we did not enjoy and do not recommend. And the worst part? It’s non-alcoholic so we can’t even blame it on an overabundance of liquors. The Popping Bubbles Cocktail was the winner of the two. It’s made with the Iron Horse FairyTale Celebration Cuvée which you can purchase at Mickey’s Pantry in Disney Springs. The Passion Fruit Boba is delicious, but sipping this sipper is quite the task. 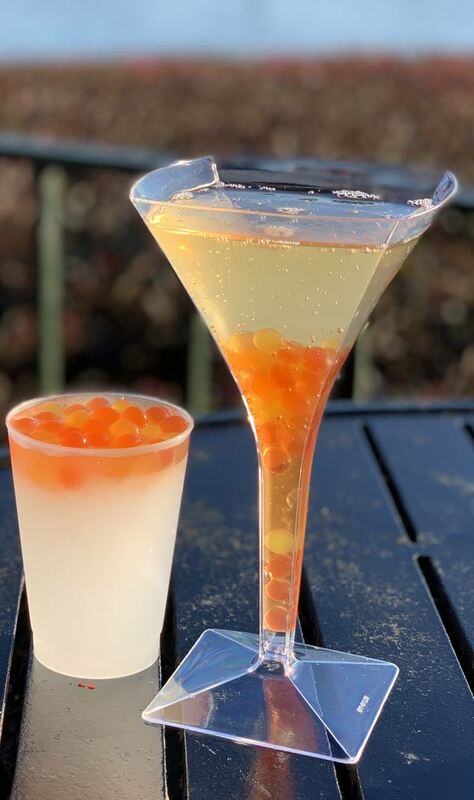 Who wants to drink champagne from a straw? 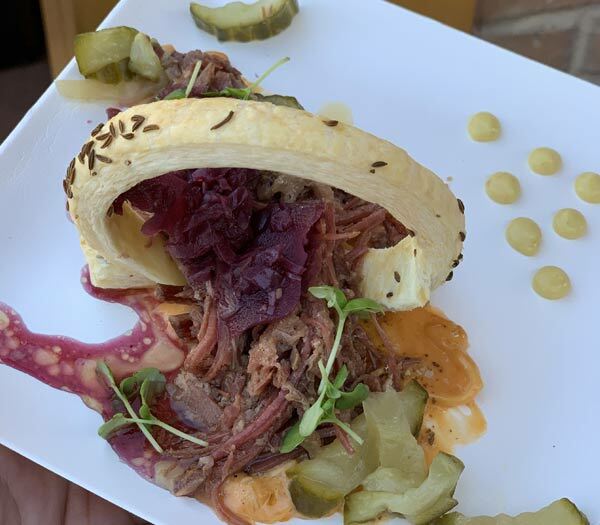 Head over to the World Showcase Plaza if Deconstructed Dish is on your to-eat list. We absolutely loved this deconstructed dish. Experience this treat bit by bit, or grab a forkful of each piece for a divine taste explosion of whipped cheesecake, fresh strawberries and a sugar cookie crust with a micro-basil sugar sculpture. We had to fight the urge to order second helping of this dish, it was just that good. This one is highly recommended by the Mouse Memos crew. 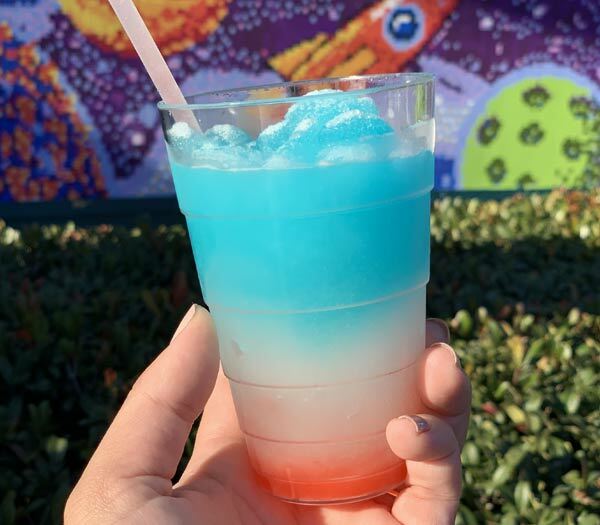 A red, white, and blue slushy that is perfect for a warm day, and we checked the weather, there are warm days on the horizon. Cute snack at a reasonable Disney price. Taste Track is in Future World East between Test Track and Mouse Gear. 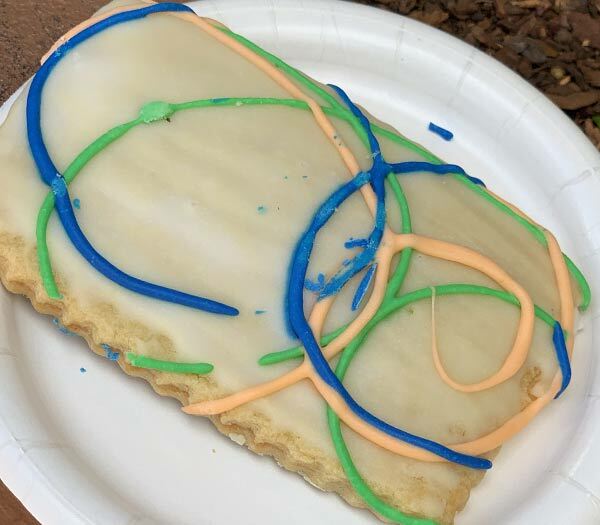 You’ve seen it on Instagram, it’s a Disney Parks snack icon, and now for a limited time you can grab it topped with colorful white chocolate. 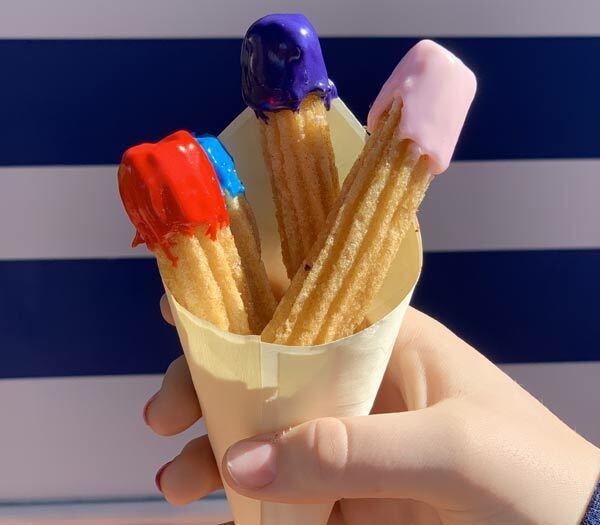 If you love churros, you’ll be sure to love this iteration. 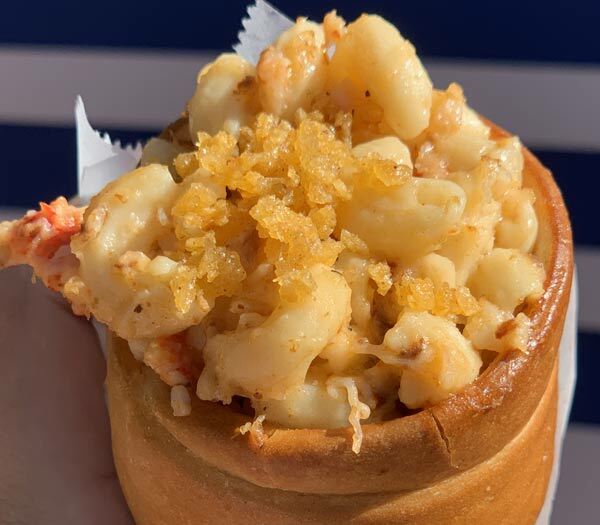 The Lobster Bacon Mac & Cheese Bread Cone is causing long lines at Taste Track, and it is well worth the wait. 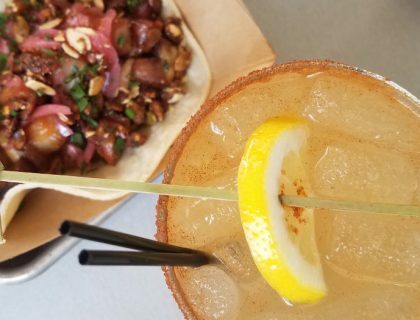 This is one of our favorite offerings and Festival of the Arts, and we’ve already made plans to brave that line again for another sampling of this dish. You can find the Painter’s Palate in the Odyssey Showplace along the walkway between Test Track and Mexico. After the first bite we described this dish as fresh and fishy. 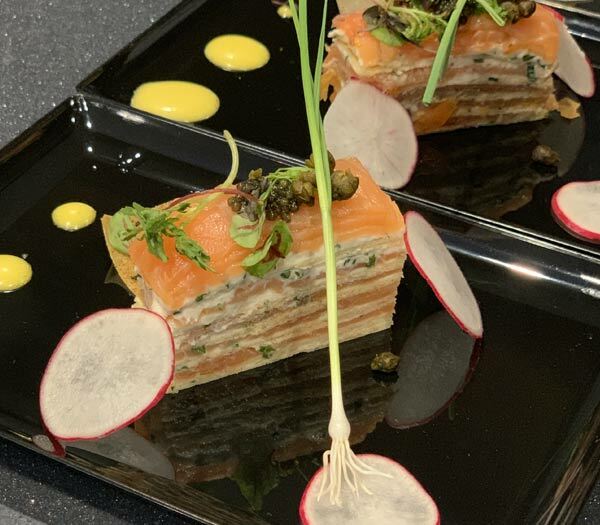 The Smoked Salmon and Cream Gâteau is an innovative dish with Egg Yolk Cream, Paddlefish Caviar, and Micro-herbs. There is a great intensity to the flavors in the Trio of Savory Croissant Doughnuts. You’ll find an Herb Chicken Salad(loved it), Whipped Garlic and Herb Cheese (so garlicky! ), and a Spicy Tuna(okay) trio that is worth a try. El Artista Hambriento can be found near the Mexico Pavilion in the Epcot World Showcase. The Callo de Hacha was so enticing that we gobbled down one of the scallops before coming to our senses and realizing that we had Mouse Memos duties to do. 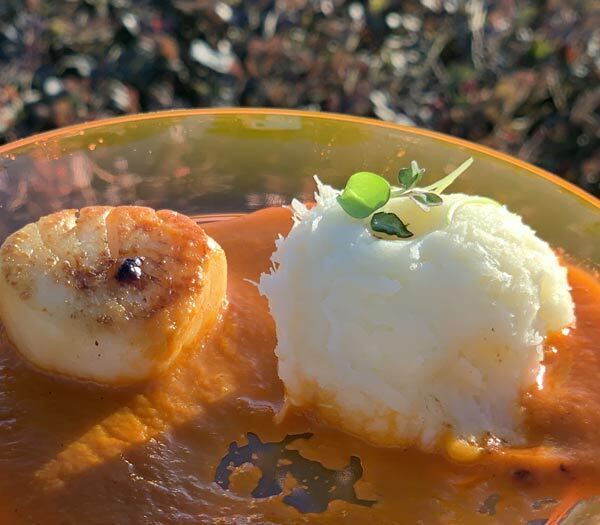 The scallops are well prepared and the sauce offers a much welcomed punch of spiciness. This one was intense, and not a favorite by a long shot. 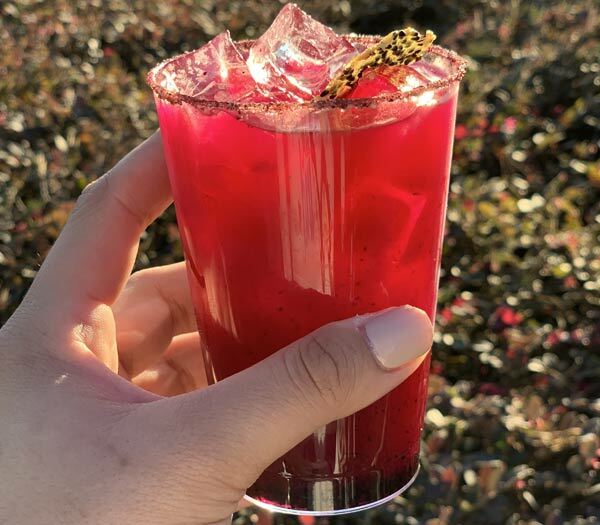 If the combo of Bruxo Mezcal, Dragon Fruit Purée, Ginger Cordial, and Guanábana Liqueur spike your interest then give it a shot. If not, hard pass. 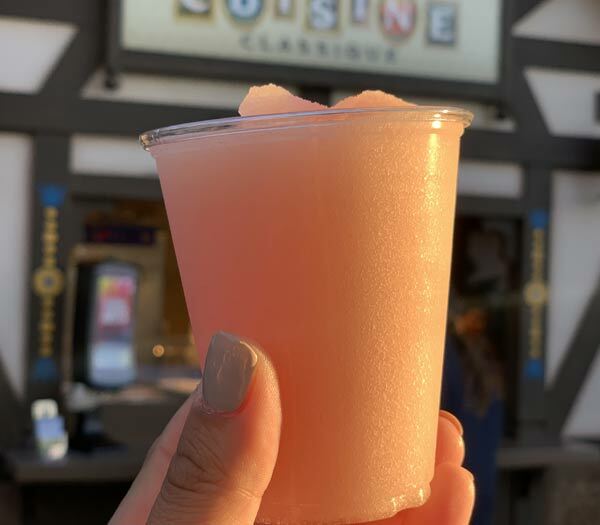 Head over to the Germany Pavilion to find the tastes and treats offered at Cuisine Classique. When you start a food review with chocolate and end it with Frosé you know your life is heading in the right direction. 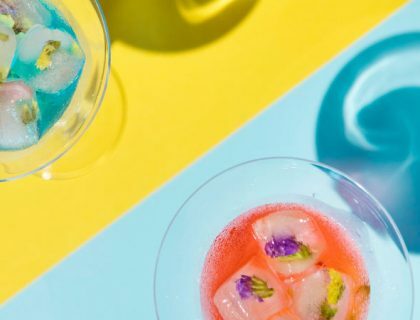 We never pass up one of our favorite drinks, and this one was a winner in our book.